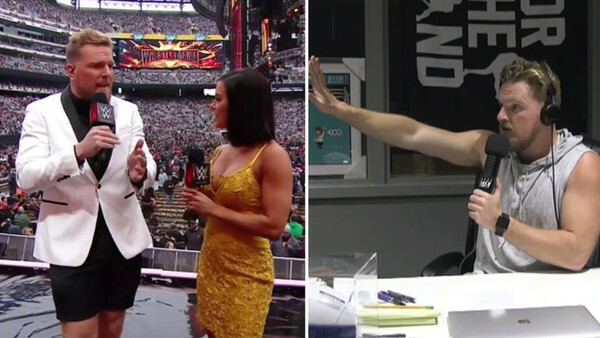 WWE's pre-show pundit Pat McAfee revealed on the latest edition of The Pat McAfee Show that he very nearly walked out of WrestleMania 35, following a backstage altercation with none other than long-tenured commentator Michael Cole. And the subject matter of said altercation? McAfee's eccentric choice of attire for the evening. McAfee stated that he was told specifically not to wear "jorts" (jean-shorts) for his three planned segments during WrestleMania's kickoff show, so instead took a pair of tuxedo pants and cut them into "tuxedo shorts." "I come back in for the rehearsal and Michael Cole is on the phone, panicking, with the entire McMahon family in the gorilla, I believe there’s a couple other superstars in there, celebrities are in there, and I just start getting yelled at by Michael Cole in front of all these people." "I told the digital guy...‘Hey, you tell Michael Cole...to go f*** himself. I am not getting punked and yelled at like a child in front of everybody like that. You guys think I’m some schlub...this is a second job to me. I’m very lucky to be here, very excited to be here, but I’m not gonna be yelled at like I’m a f***ing child in front of people." McAfee added that the situation was smoothed over when Cole showed Vince McMahon a picture of LeBron James wearing a short-suit and gave his approval for the attire. To Cole's credit, he did eventually apologise, which McAfee called "one of the realest apologies" of his life, and the remainder of McAfee's role in the kickoff show appeared to go off without a hitch. 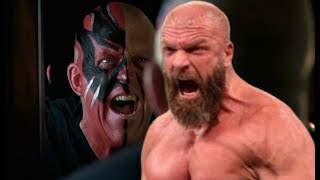 But as a small insight into the high-pressure nature of even the most inconsequential segment of WrestleMania's kickoff show, it's undeniably fascinating. Poor Charly Caruso nearly found herself up on stage without a partner. Check out McAfee's full story in his own words below.